Gallery Hours: M-F, 10-4PM and weekends during public events. The Rachel M. Schlesinger Concert Hall and Arts Center at Northern Virginia Community College’s Alexandria Campus is excited to exhibit a unique sculpture for the fall exhibition season. Susan Hostetler’s Shifting Migration will be on display Sept. 22, 2017 to March 22, 2018. An artist’s reception is scheduled from 2 p.m. to 4 p.m. Saturday, Sept. 23. 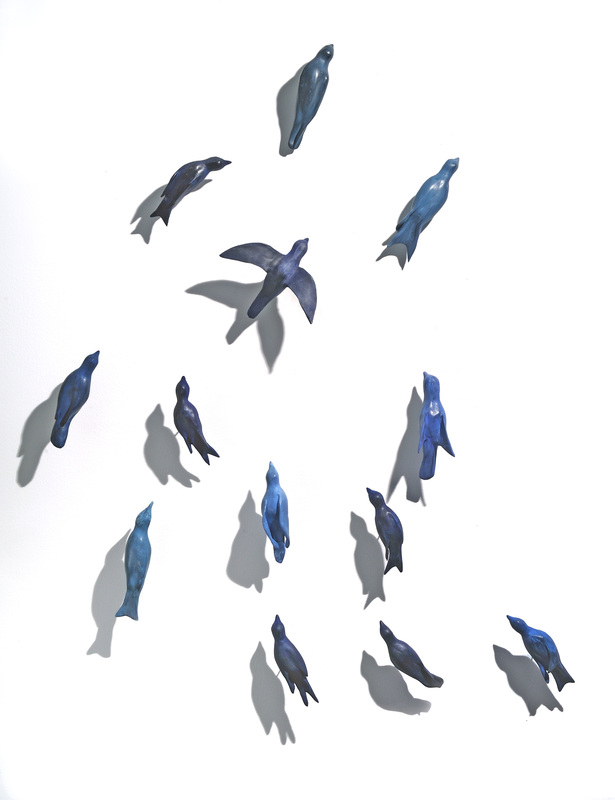 Susan Hostetler; Migration – Blue Birds; clay, pigment, nails; 5’x3’; 2017; Photo by Greg Staley. The Passage Gallery at the Rachel M. Schlesinger Concert Hall and Arts Center at Northern Virginia Community College’s Alexandria Campus is excited to present the work of 2017 American University graduates Sarah O’Donoghue and Zarina Zuparkhodjaeva in the show Change, Witnessed. The show will be on display Sept. 22 to Nov. 5 with an artists’ reception scheduled for 2 p.m. to 4 p.m. Saturday, Sept. 23. Zarina Zuparkhodjaeva; Near Distance; oil on canvas; 24”x40”; 2017. Photo courtesy of artist. Sarah O’Donoghue; Florida and 7th; oil on canvas; 36”x48”; 2015. Photo courtesy of artist. The Margaret W. & Joseph L. Fisher Art Gallery will display the unique mixed media art exhibition Haunted by Quiet Places by Annie Farrar. The exhibition will be on display from Sept. 22 to Nov. 5 with an opening reception scheduled for 2 p.m. to 4 p.m. Saturday, Sept. 23. Haunted by Quiet Places is an exploration of the relationship between realism, reality, and our experiences of space and time. 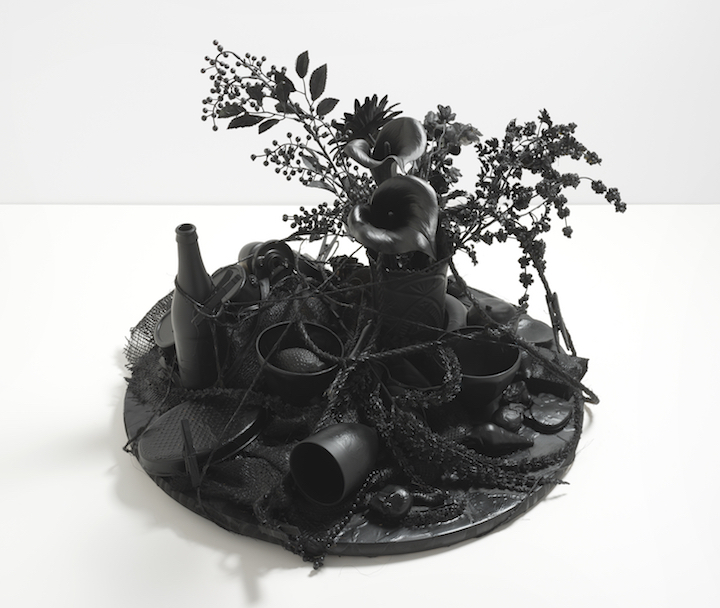 The exhibition includes Annie’s two sculpture series Vanitas and Singularities which use mirrors, skulls and sentimental objects that have emotional ties and meaning to present images that both ask viewers to think of the past, future and expansive nature of time. The Margaret W. & Joseph L. Fisher Art Gallery at the Rachel M. Schlesinger Concert Hall and Arts Center at Northern Virginia Community College’s Alexandria Campus will display the art exhibit The Time of No Time, a collection of works by artist Nahid Navab. The show will be on display from Aug. 7 through Sept. 17 with an artist’s reception scheduled for 2 p.m. to 4 p.m. Saturday, Aug. 12. 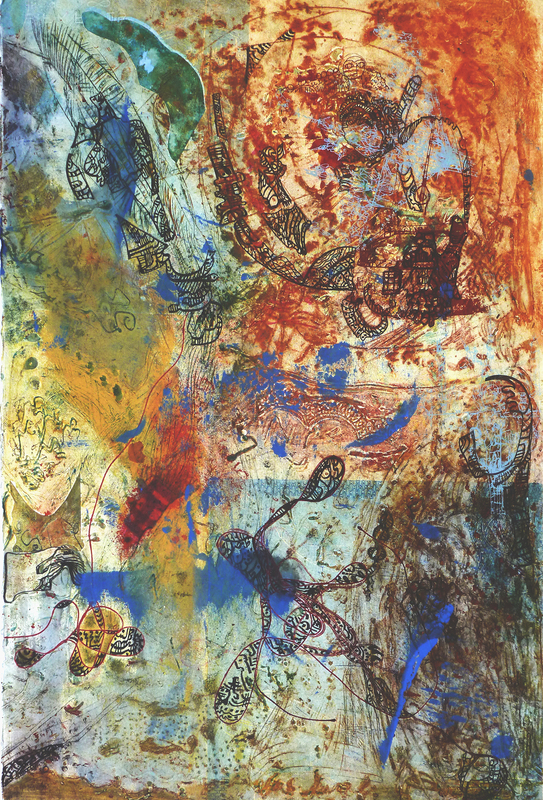 Some of the pieces in The Time of No Time are multi-layered, multi-textured abstract, and figurative handprints imply a state of floating in search of a shelter or something to hang on. Navab explained that her work tells stories and represents figures and objects that hold their dignity while facing chaotic situations. Nahid Navab; Lost Horizon; mixed media handprint; 30”x22”; 2017: courtesy of artist. The Rachel M. Schlesinger Concert Hall and Arts Center is honored to display the art exhibition Zip Infinity, a series of acrylic paintings by artist Maremi Andreozzi. The show will be on display in the Forum Gallery of the Schlesinger Center from Aug. 7 to Sept. 17 with an artist’s reception from 2 p.m. to 4 p.m. Saturday, Aug. 12. A closing reception is scheduled from 2 p.m. to 3 p.m. Saturday, Sept. 16. In the Zip series, Andreozzi studies the movement of a single white line zipping and looping through a patterned space. 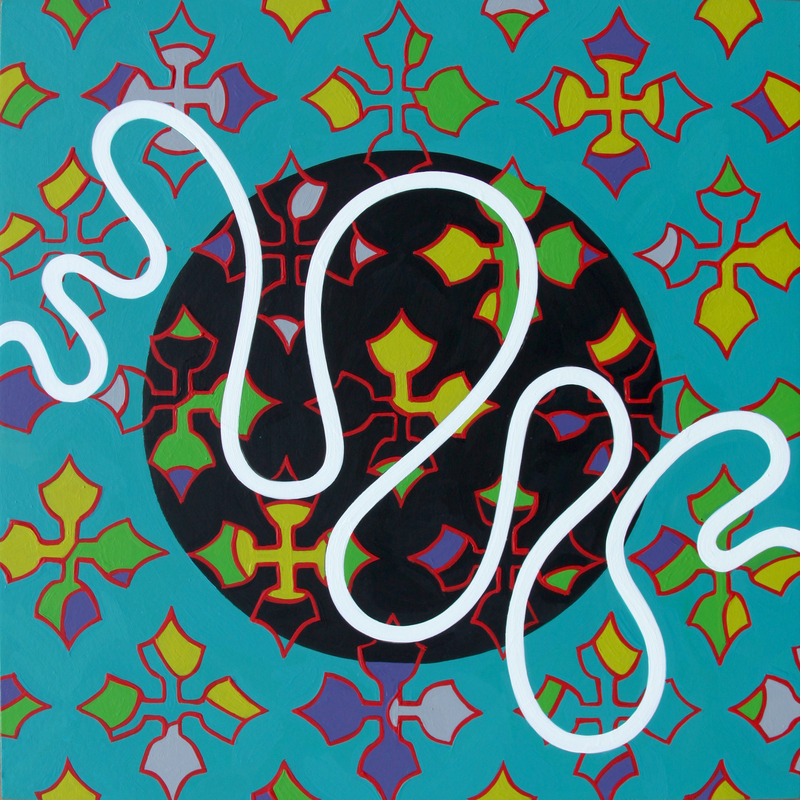 In the Infinity paintings, she expands on design and pattern. Maremi Andreozzi; Zip, #13; 10’x10’x1.5’; acrylic on panel; photo courtesy of artist. 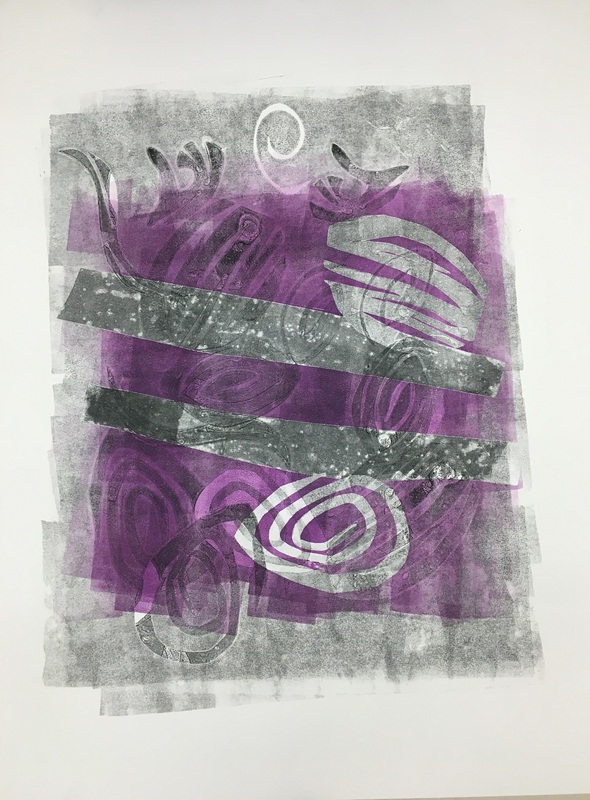 In partnership with the Alexandria Campus’ Rachel M. Schlesinger Concert Hall and Arts Center, the Richard J. Ernst Community Cultural Center at Northern Virginia Community College’s Annandale Campus will display a series of printmaking artworks created by 13 D.C. metro area artists. The show, The Language of Impressions, will be on display in the Ernst Community Center’s Verizon Gallery from June 1 to June 30 with an artists’ reception from 2 p.m. to 4 p.m. Saturday, June 3. Artists participating in the show include Cheryl Edwards, Joan Belmar, Adjoa Burrowes, Helen Frederick, Amelia Hankin, Azia Gibson-Hunter, Maroulla Morcos, Lisa Rosenstein, Anne Smith, Hendrik Sundqvist, Alec Simpson, Michelle Talibah and Nikki Whipkey. Cheryl Edwards and Exhibition Director Mary Welch Higgins organized and curated the show. The Ernst Community Cultural Center is located at NOVA’s Annandale Campus, 8333 Little River Turnpike, Annandale, VA 22003. 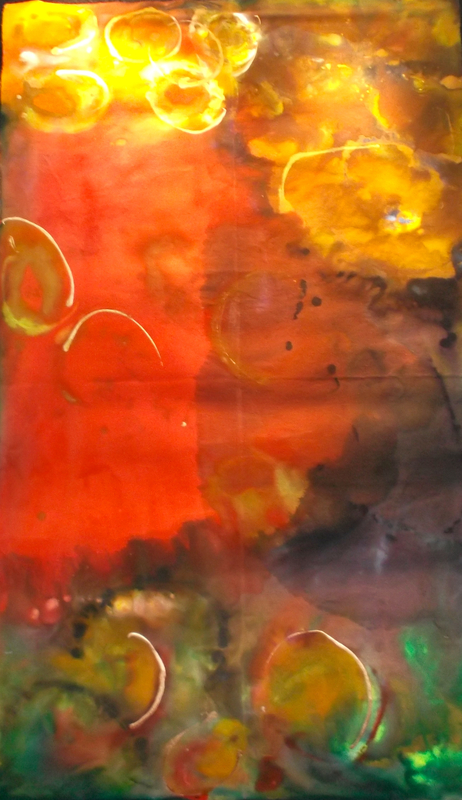 Adjoa Burrowes; Undercurrent_1; monotype on paper; 28” x 36”; photo courtesy of the artist. The galleries at the Rachel M. Schlesinger Concert Hall and Art Center at the Northern Virginia Community College Alexandria Campus will display the art exhibit Lachesis’ Order by artist Amelia Hankin. The show will be installed in the Passage and Forum galleries from May 12 to July 30. Hankin’s current body of drawings and screen prints reference the superstitious beliefs that emerge in everyday life – from stepping on cracks in the sidewalks to opening an umbrella indoors. Through repetitive imagery rendered in fine detail, Hankin questions the tipping point between harmless acts of routine and the human obsessiveness with order, manifested in these rituals. 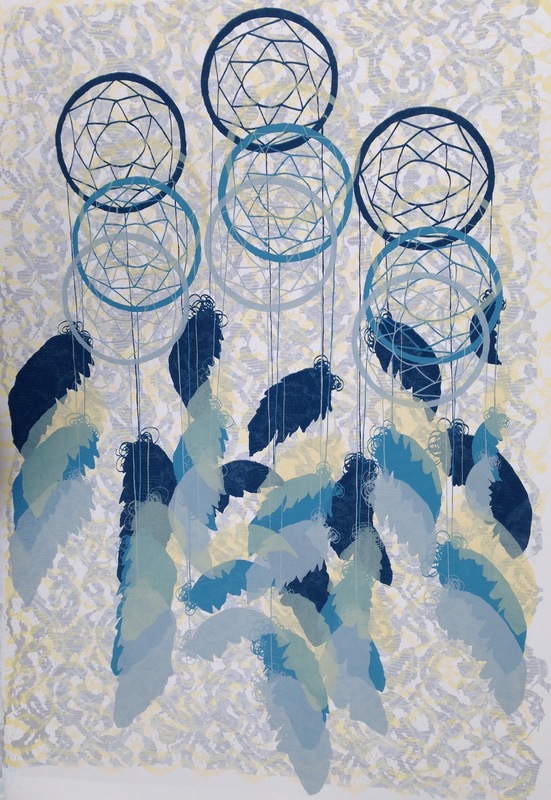 Amelia Hankin, Dreamcatchers with Pattern, screen print, 2017, photo courtesy of artist. 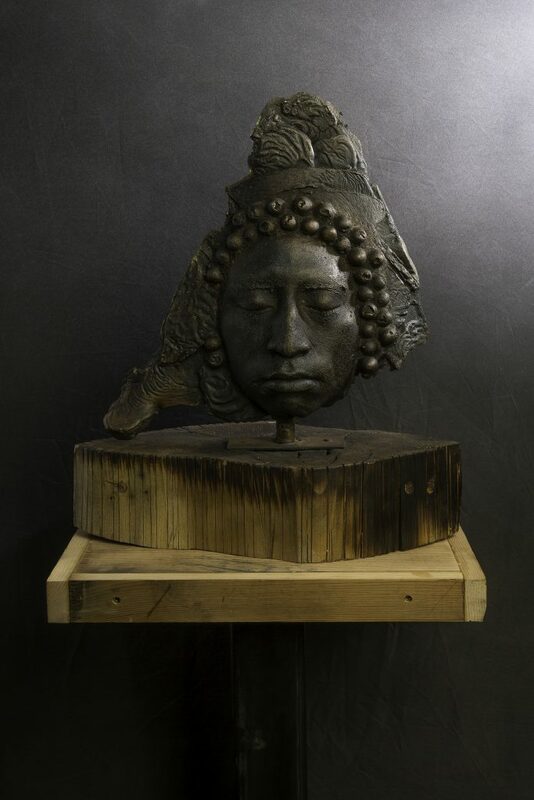 The Margaret W. & Joseph L. Fisher Art Gallery at the Rachel M. Schlesinger Concert Hall and Arts Center is honored to exhibit a series of sculptures by regional artist Wilfredo Valladares in his solo show Unmasked. The show will be on display April 17 to June 4. Wilfredo explained that this body of work explores the interconnectedness of cultures. In creating the series, he used bronze wood, bronze steel, cast iron rolling pins and other materials. The sculptures capture relationships between people and cultures and tell their unique stories. 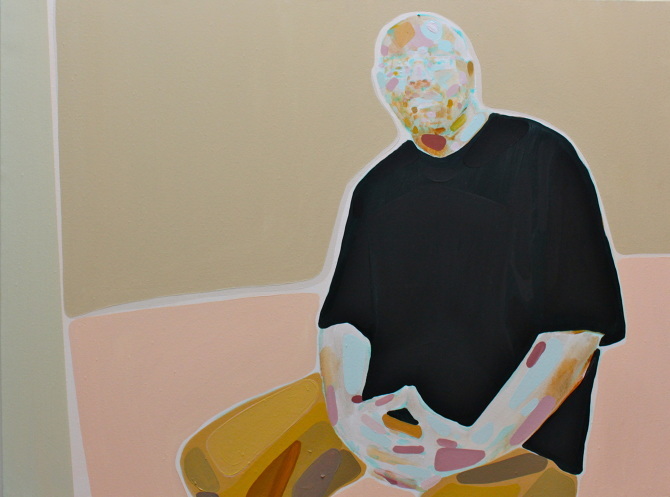 Wilfredo Valladares, Unmasked 1. Variable dimensions. Bronze wood. The Rachel M. Schlesinger Concert Hall and Arts Center at Northern Virginia Community College’s Alexandria Campus welcomes regional artist Lina Alattar who will display her show At the Seams in the second-level Passage Gallery from March 17 through April 30 with an artist’s reception from 2 p.m. to 4 p.m. Saturday, March 25. 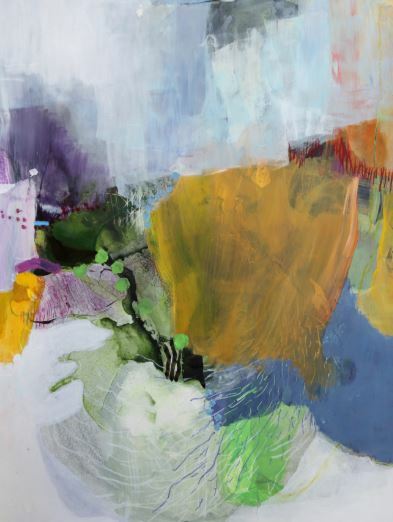 The Rachel M. Schlesinger Concert Hall and Arts Center will welcome regional artist Cheryl Edwards as she presents her latest art exhibit from March 3 to April 30. Edwards’ collection The Reverence of Water will be on display in the center’s Forum Gallery, and an artist’s reception is scheduled for 2 p.m. to 4 p.m. Saturday, March 25.